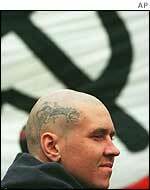 Russia - Fueled by widespread poverty and an the ongoing conflict with Chechen rebels, the Russian neo-nazi skinhead movement is growing in size and militancy. 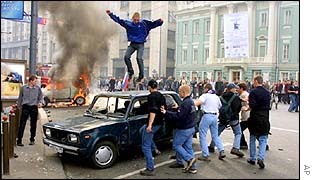 Nationalist skinhead gangs first appeared in Russia in the early 1990s and were comprised of only about a dozen adherents. Today their ranks are estimated to be 60,000 strong. They primarily target foreigners and last year alone were responsible for forty-four racially motivated murders.